Formerly known as Nonprofit "U", the Nonprofit Utopia podcast is an extension of the ideal community for emerging nonprofit leaders. We use our podcast as an online forum where nonprofit stakeholders can discuss the latest developments in the sector and increase their capacity to serve their clients and build sustainable communities. Valerie F. Leonard, an expert in community and organizational development is the host. Topics include nonprofit management, community development, capacity building and organizational development. While there is no such thing as perfection, the 7-year process that brought the Foundation Center and GuideStar together to become Candid, is pretty close, as mergers go. The completion of the merger has not only resulted in the creation of Candid as a sustainable organization; it has also led to the consolidation of the most comprehensive array of tools for research, collaboration, grants and training for nonprofits in the world. Join us as host Valerie F. Leonard engages Jen Bokoff, Director of Stakeholder Engagement for Candid, in a lively discussion on the implications of the merger for the nonprofit sector. Be sure to take notes,and call in with your burning questions. Call in live at (347) 884-8121. You don't need an account to listen, but, if you want to participate in an online chat, open a listener-only account at https://secure.blogtalkradio.com/register.aspx?type=listener. Visit Nonrprofitutopia.com. Archived episodes may be found at http://Valeriefleonard.com/NonprofitU, iTunes, Podcast Chart, Blubrry and Stitcher. Building effective boards is a developmental process and can be compared to a game. There are rules of engagement, players, strategies, time limits, winners and losers. Darchelle M. Garner, Managing Director of Vineland Consulting, LLC, has significant success working with faith-based organizations to help them master the game of developing effective boards and operations. Join us as I engage Darchelle in a lively discussion on how organizations can go from Great to Greater. We will talk about how nonprofits can use organizational assessments, board development, strategic planning and annual planning to position themselves for long term sustainability. Be sure to take notes, and call in with your burning questions. Call in live at (347) 884-8121. You don't need an account to listen, but, if you want to participate in an online chat, open a listener-only account at https://secure.blogtalkradio.com/register.aspx?type=listener. Visit Nonrprofitutopia.com. Archived episodes may be found at http://Valeriefleonard.com/NonprofitU, iTunes, Podcast Chart, Blubrry and Stitcher. The Get Cleared Campaign reduces recidivism by making work possible for formerly incarcerated individuals who are eligible to have their records expunged. They help their clients focus on developing skills that would increase their chances of securing living-wage jobs, as opposed to spending inordinate amounts of time navigating the court system in hopes of clearing their records. In so doing, they have engaged stakeholders to impact systems change in the State of Illinois, Cook County Circuit Court, City of Chicago and local communities to streamline the expungement process. Join Host Valerie F. Leonard ; Rev. Elena Calloway, CEO of T.R.E.A.D. and Rev. Otis C. Monroe, CEO of the Monroe Foundation to hear updates on the Campaign. Call in live at (347) 884-8121. You don't need an account to listen, but, if you want to participate in an online chat, open a listener-only account at https://secure.blogtalkradio.com/register.aspx?type=listener. Visit Nonrprofitutopia.com. Archived episodes may be found at http://Valeriefleonard.com/NonprofitU, iTunes, Podcast Chart, Blubrry and Stitcher. There are over 1.5 million nonprofit organizations in the United States, with new entities opening “every day”. Well, maybe not every day, but you get the idea. With the growing number of nonprofit organizations competing for fewer dollars, how do you position your organization to stand out from the crowd? Join host Valerie F. Leonard and Mia Hillery, expert marketer, brand ambassador and coach, to find out. Call in live at (347) 884-8121. You don't need an account to listen, but, if you want to participate in an online chat, open a listener-only account at https://secure.blogtalkradio.com/register.aspx?type=listener. Visit Nonrprofitutopia.com. Archived episodes may be found at http://Valeriefleonard.com/NonprofitU, iTunes, Podcast Chart, Blubrry and Stitcher. Join Patrick Kirby, Founder of Do Good Better Consulting, and host Valerie F. Leonard, for a lively discussion on how to make your organization’s case for support; how to develop effective fundraising strategies and capital campaigns; how to assess your organization’s readiness for fundraising and capital campaigns and some of the common mistakes nonprofits make along their fundraising journeys. Call in live at (347) 884-8121. You don't need an account to listen, but, if you want to participate in an online chat, open a listener-only account at https://secure.blogtalkradio.com/register.aspx?type=listener. Visit Nonrprofitutopia.com. Archived episodes may be found at http://Valeriefleonard.com/NonprofitU, iTunes, Podcast Chart, Blubrry and Stitcher. Your human-service nonprofit exists to make a positive impact in the lives of the people you serve. But how do you get there, especially in the current environment? Join Sarah Olivieri, Founder of PivotGround, and host Valerie F. Leonard for a lively discussion on breaking with traditional strategic planning processes; how to accomplish more without expending more money and how to get ahead of the fundraising curve using digital strategies. Call in live at (347) 884-8121. You don't need an account to listen, but, if you want to participate in an online chat, open a listener-only account at https://secure.blogtalkradio.com/register.aspx?type=listener. Visit Nonrprofitutopia.com. Archived episodes may be found at http://Valeriefleonard.com/NonprofitU, iTunes, Podcast Chart, Blubrry and Stitcher. It is not uncommon to start a new initiative with the idea of “…if we build it, they’ll come.” What if, instead, we started the process with the end-users in mind, and built solutions tailor-made to their needs? Join Alvin Schexnider, Erie Neighborhood House’s Senior Director of Operations, and Host Valerie F. Leonard, to learn how human-centered design can bridge the needs of those closest to the problem (clients/users) with those who have the power, privilege, and resources to design policy and initiatives in organizations and in communities. Call in live at (347) 884-8121. You don't need an account to listen, but, if you want to participate in an online chat, open a listener-only account at https://secure.blogtalkradio.com/register.aspx?type=listener. Visit Nonrprofitutopia.com. Archived episodes may be found at http://Valeriefleonard.com/NonprofitU, iTunes, Podcast Chart, Blubrry and Stitcher. #GivingTuesday is a global day of giving fueled by the power of social media and collaboration. Celebrated on the Tuesday following Thanksgiving, #GivingTuesday kicks off the charitable season, when many focus on their holiday and end-of-year giving. Will your organization be ready? Join us as Jessica Schneider, Director of Strategy and Collaboration for 92Y’s Belfer Center for Innovation and Social Impact, shares a recommended timeline and strategies for implementing successful #GivingTuesday campaigns. We will share links to a recommended calendar of activities and other resources to check in and keep you on track. Life after the military can be just as challenging for veterans and their families as serving in active combat. In their effort to transition back into civilian life, many struggle with a number of physical, psychological, social and economic issues. Join Dumont Moore, Founder of Veterans Strike Force, and me for a lively discussion of life after military service. We will talk about the most common issues impacting veterans and their families, including housing, education, employment and behavioral health; coping strategies, the work of the Veterans Strike Force and available resources. Sales and marketing are the lifeblood of any business—whether for-profit or nonprofit. Organizational leaders need a firm grasp of the changes in the marketplace and the implications for their organizations, clients and communities. At the same time, they must cultivate relationships with funders and a host of other stakeholders to maintain a steady flow of cash, volunteers and goodwill. Join Shelby Parchman, CEO of InUrban Strategies, and host Valerie F. Leonard to discuss high-impact bootstrap sales and marketing strategies nonprofits and social enterprises can use to penetrate their local markets–quick, fast and in a hurry. Call in live at (347) 884-8121. You don't need an account to listen, but, if you want to participate in an online chat, open a listener-only account at https://secure.blogtalkradio.com/register.aspx?type=listener. Visit Nonrprofitutopia.com. Archived episodes may be found at iTunes, Podcast Chart, Blubrry and Stitcher. Today, a successful media relations strategy requires much more than press releases and posed photos... You need to build relationships, be accessible, and offer valuable information and insights to reporters and editors… –Kivi Leroux Miller, Founder &CEO, The Nonprofit Marketing Guide Peter Panepento and Antionette Kerr, authors of Modern Media Relations for Nonprofits, will join host Valerie F. Leonard to discuss what makes a story newsworthy; how to make your special events media friendly; the relationship between media and nonprofit disclosure and how to manage crises. Call in live at (347) 884-8121. You don't need an account to listen, but, if you want to participate in an online chat, open a listener-only account at https://secure.blogtalkradio.com/register.aspx?type=listener. Visit Nonrprofitutopia.com. Archived episodes may be found at http://Valeriefleonard.com/NonprofitU, iTunes, Podcast Chart, Blubrry and Stitcher. Nearly 4 years after shooting 17-year-old Laquan McDonald to death, Chicago Police Officer Jason Van Dyke was convicted of 2nd degree murder and 16 counts of aggravated assault. Most people believed a conviction would be impossible, given our country’s track record with police-involved shootings. They were wrong. What was it about this case that was different? What lessons can be learned that transcend police reform? William Calloway, the activist who filed the lawsuit against the City of Chicago to release the dash cam video of the Laquan McDonald shooting, will talk about the importance of community collaboration in bringing about social justice and police reform. These lessons are applicable to any systems change work. Call in live at (347) 884-8121. You don't need an account to listen, but, if you want to participate in an online chat, open a listener-only account at https://secure.blogtalkradio.com/register.aspx?type=listener. Visit Nonrprofitutopia.com. Archived episodes may be found at http://Valeriefleonard.com/NonprofitU, iTunes, Podcast Chart, Blubrry and Stitcher. #GivingTuesday is a global day of giving fueled by the power of social media and collaboration. Celebrated on the Tuesday following Thanksgiving, #GivingTuesday kicks off the charitable season, when many focus on their holiday and end-of-year giving. Will your organization be ready? Join us as Jessica Schneider, Director of Strategy and Collaboration for 92Y’s Belfer Center for Innovation and Social Impact, shares a recommended timeline and strategies for implementing successful #GivingTuesday campaigns. We will share links to a recommended calendar of activities and other resources to check in and keep you on track. Call in live at (347) 884-8121. You don't need an account to listen, but, if you want to participate in an online chat, open a listener-only account at https://secure.blogtalkradio.com/register.aspx?type=listener. Visit Valeriefleonard.com. Archived episodes may be found at http://Valeriefleonard.com/NonprofitU, iTunes, Podcast Chart, Blubrry and Stitcher. Join us as Xavier Ramey,CEO and Lead Strategist, of Justice Informed, LLC, looks at the intersections of diversity, equity and inclusion (DEI); community engagement, philanthropy and corporate responsibility. We will examine the current environment and discuss strategies organizations can use to strategically align people, processes and culture to capitalize on changes in a globalized economy, including its workforce and production system. Call in live at (347) 884-8121. You don't need an account to listen, but, if you want to participate in an online chat, open a listener-only account at https://secure.blogtalkradio.com/register.aspx?type=listener to participate in a live chat. Visit Valeriefleonard.com. Archived episodes may be found at http://Valeriefleonard.com/NonprofitU, iTunes, Podcast Chart, Blubrry and Stitcher. Writing a compelling case for support is not always as easy as it seems. In Case Development 201, Communications Consultant Andrew Brommel writes “an organization’s case for support is ultimately ‘your message to your donors—why should they give to your organization?’ In this day and age of increased competition for fewer dollars, your answer to the funders’ question must be stronger than ever before. Lauren Wesley, Director of Development for the North Lawndale Employment Network in Chicago, will share strategies for developing a case for support in times of change, and how we can dovetail those efforts with electronic peer to peer fundraising campaigns like #GivingTuesday. Again, we encourage you to call in with questions at the 30 minute mark. Call in live at (347) 884-8121. You don't need an account to listen, but, if you want to participate in an online chat, open a listener-only account at https://secure.blogtalkradio.com/register.aspx?type=listener to participate in a live chat. Visit Valeriefleonard.com. Archived episodes may be found at http://Valeriefleonard.com/NonprofitU, iTunes, Podcast Chart, Blubrry and Stitcher. Vivien Hoexter and Linda C. Hartley, principals of H2Growth Strategies LLC, will discuss their new book, Big Impact:Insights & Stories from America’s Non-Profit Leaders. The book highlights nonprofit leaders from the U.S. and abroad who have found solutions to some of the world’s most vexing societal problems. Hoexter and Hartley will also share insights on how these change-makers are implementing solutions in their communities, the qualities these leaders possess, and lessons learned that maybe useful to emerging nonprofit leaders. Call in live at (347) 884-8121. You don't need an account to listen, but, if you want to participate in an online chat, open a listener-only account at https://secure.blogtalkradio.com/register.aspx?type=listener to participate in a live chat. Visit Valeriefleonard.com. Archived episodes may be found at http://Valeriefleonard.com/NonprofitU, iTunes, Podcast Chart, Blubrry and Stitcher. Even when asked by their funders, organizational leaders are often reluctant to provide candid feedback to foundations, for fear of alienating them. As a result, foundations don't always have an accurate picture of what the grantee experience has been with them, while nonprofit organizations sometimes suffer in silence, or decide not to pursue a relationship due to things like, onerous application or reporting requirements. DonorAdvisor, a new platform that allows nonprofits to provide feedback to foundations anonomously, hopes to eliminate those barriers and improve the grantmaking process for everyone involved. Join Kari Aanestad, Development Manager at the Minnesota Council of Nonprofits, and Andrea Sanow, GrantAdvisor Coordinator at the Minnesota Council of Nonprofits, for a GrantAdvisor teach in. You will: Learn what GrantAdvisor is, where to find it and how to use the tool.Better understand the roles and impact of transparency and reciprocity between grant making foundations and grantees in the feedback loopExplore how this information can improve the nonprofit sector. Call in live at (347) 884-8121. You don't need an account to listen, but, if you want to participate in an online chat, open a listener-only account at https://secure.blogtalkradio.com/register.aspx?type=listener to participate in a live chat. Visit Valeriefleonard.com. Archived episodes may be found at http://Valeriefleonard.com/NonprofitU, iTunes, Podcast Chart, Blubrry and Stitcher. Today’s nonprofit funding environment is characterized by increased competition for limited funding and unfavorable tax laws that could potentially reduce incentives for middle class donors to make gifts to nonprofits. Now, more than ever, nonprofits must adopt financial capitalization models that include public and private sources of financing, including grants, private equity investments, loans, and tax credits. The most nimble nonprofits will also re-structure their organizations and partnerships to maximize their return on investment. Join Stacee L. Lang, MA, PhD Practitioner, President, and Andrew Buoyae - CFO & Chief Development Officer of Lang Capital, NFP to discuss creative ways of structuring your nonprofit organization and financing to increase long term sustainability. Call in live at (347) 884-8121. You don't need an account to listen, but, if you want to participate in an online chat, open a listener-only account at https://secure.blogtalkradio.com/register.aspx?type=listener to participate in a live chat. Visit Valeriefleonard.com. Archived episodes may be found at http://Valeriefleonard.com/NonprofitU, iTunes, Podcast Chart, Blubrry and Stitcher. Peggy Duvette is an international thought leader in technology & social change and women’s leadership. As Senior Director of Social Impact at Oracle NetSuite, Peggy guides the donation of the Oracle NetSuite products to nonprofits worldwide, and manages a range of capacity building programs, including Suite Pro Bono. She is committed to helping nonprofits and social enterprises further their social impact. Peggy will talk about Oracle NetSuite’s tools for measuring financial and social impact; programs for product donations and capacity building and how organizations may apply. Call in live at (347) 884-8121. You don't need an account to listen, but, if you want to participate in an online chat, open a listener-only account at https://secure.blogtalkradio.com/register.aspx?type=listener to participate in a live chat. Visit Valeriefleonard.com. Archived episodes may be found at http://Valeriefleonard.com/NonprofitU, iTunes, Podcast Chart, Blubrry and Stitcher. Do you ever wonder what role the Microsoft Stores play in community? Paula Brkich is the Community Development Specialist based at the Microsoft Store in Schaumburg. In her role, she connects the store to the community through educational workshops and events for kids, seniors, businesses, gamers, and works with non-profits on volunteer events. Paula will talk about Microsoft’s educational programs and services for nonprofits and upcoming events. Do you ever wonder what organizational capacity is, or why it’s important? Tune in to Nonprofit “U” for a lively discussion with Tom Fuechtmann, Senior Program Officer with the Community Memorial Foundation and me. We will demystify organizational capacity building, talk about Community Memorial Foundation’s investment in organizational leaders and the importance of building organizational capacity. Do you ever wonder what role the Microsoft Stores play in community? Paula Brkich is the Community Development Specialist based at the Microsoft Store in Schaumburg. In her role, she connects the store to the community through educational workshops and events for kids, seniors, businesses, gamers, and works with non-profits on volunteer events. Paula will talk about Microsoft’s educational programs and services for nonprofits and upcoming events. Call in live at (347) 884-8121. You don't need an account to listen, but, if you want to participate in an online chat, open a listener-only account at https://secure.blogtalkradio.com/register.aspx?type=listener to participate in a live chat. Visit Valeriefleonard.com. Archived episodes may be found at http://Valeriefleonard.com/NonprofitU, iTunes, Podcast Chart, Blubrry and Stitcher. Peter Gariepy is a Principal with Vora Certified Public Accountants, and a candidate for the Cook County Treasurer’s Office. Vora is the first CPA firm in the Midwest to become a certified Benefit Corporation, meaning that the firm seeks to generate a positive social and environmental impact through serving its clients. Peter is the treasurer of the West Town SSA, and a former member of the Auxiliary Board of Christ The King Jesuit College Preparatory High School in Chicago’s Austin community. Peter will talk about how Cook County’s investment policies can impact social enterprises and nonprofits, and his new book, “Who Among Giants”. Call in live at (347) 884-8121. You don't need an account to listen, but, if you want to participate in an online chat, open a listener-only account at https://secure.blogtalkradio.com/register.aspx?type=listener to participate in a live chat. Visit Valeriefleonard.com. Archived episodes may be found at http://Valeriefleonard.com/NonprofitU, iTunes, Podcast Chart, Blubrry and Stitcher. Nonprofits are often concerned with having just the right social media messages to promote year-end giving campaigns. When the dust settles, they still need to maintain compliance with state and federal regulators. These disclosure requirements provide an excellent opportunity for nonprofits to tell their stories; demonstrate impact and market their organizations and services. Join Holly Ivel, Director of Data Services for GuideStar, for a lively discussion on the importance of Form 990 and GuideStar profiles. Holly will highlight the Form 990 sections that may be used for marketing purposes and share excerpts from well- prepared Form 990’s. Do you ever wonder what organizational capacity is, or why it’s important? Tune in to Nonprofit “U” for a lively discussion with Tom Fuechtmann, Senior Program Officer with the Community Memorial Foundation and me. We will demystify organizational capacity building, talk about Community Memorial Foundation’s investment in organizational leaders and the importance of building organizational capacity. Call in live at (347) 884-8121. You don't need an account to listen, but, if you want to participate in an online chat, open a listener-only account at https://secure.blogtalkradio.com/register.aspx?type=listener to participate in a live chat. Visit Valeriefleonard.com. Archived episodes may be found at http://Valeriefleonard.com/NonprofitU, iTunes, Podcast Chart, Blubrry and Stitcher. As Cara’s Director of Student and Alumni Affairs and a 15-year Cara veteran, Jesse Teverbaugh is a firm believer in the notion that we transform our lives by transforming others. Cara helps men and women affected by poverty (and often the interrelated challenges of recovery, domestic violence, episodic homelessness and incarceration) to get and keep good jobs, rebuild hope, self-esteem and opportunity for themselves and their families in the process. Jesse will talk about Cara’s training and workforce development programs and social enterprises. Call in live at (347) 884-8121. You don't need an account to listen, but, if you want to participate in an online chat, open a listener-only account at https://secure.blogtalkradio.com/register.aspx?type=listener to participate in a live chat. Visit Valeriefleonard.com. Archived episodes may be found at http://Valeriefleonard.com/NonprofitU, iTunes, Podcast Chart, Blubrry and Stitcher. David Young has been Housing Action Illinois’s (HAI) Director of Training since 2012. In this role, he is responsible for providing capacity building services to nonprofit developers and housing counseling organizations in order to increase these agencies’ ability to best serve their clients and communities. Join David and me as we discuss HAI’s housing training programs and their upcoming full-day grant writing workshops in Springfield and Chicago. Call in live at (347) 884-8121. You don't need an account to listen, but, if you want to participate in an online chat, open a listener-only account at https://secure.blogtalkradio.com/register.aspx?type=listener to participate in a live chat. Visit Valeriefleonard.com. Archived episodes may be found at http://Valeriefleonard.com/NonprofitU, iTunes, Podcast Chart, Blubrry and Stitcher. The Westside Community Triage and Wellness Center was created to fight the ravages of trauma and opioid abuse on Chicago’s West Side. While the Center is expected to open the first quarter of 2018, there is already a movement afoot to address the issues utilizing rank and file citizens, elected officials, healthcare providers, churches and community-based organizations. Join Donald J. Dew, President and CEO of Habilitative Systems, Inc., and Dr. Rashad Saaphir, President and CEO of the Bobby E. Wright Comprehensive Behavioral Health Center for a provocative discussion on the creation of the Center in partnership with the Cook County Health and Hospitals Systems and community-based approaches to trauma, violence and the opioid crisis. Call in live at (347) 884-8121. You don't need an account to listen, but, if you want to participate in an online chat, open a listener-only account at https://secure.blogtalkradio.com/register.aspx?type=listener to participate in a live chat. Visit Valeriefleonard.com. Archived episodes may be found at http://Valeriefleonard.com/NonprofitU, iTunes, Podcast Chart, Blubrry and Stitcher. Rebroadcast-North Lawndale Then and Now: What Has Changed Since Dr. King Left? Rebroadcast-North Lawndale Then and Now: What Has Changed Since Dr. King Walked Among Us? Dr. Martin Luther King, Jr. came to North Lawndale in 1966 to launch a fight for fair housing. Fast forward to 2017, what has changed? Join Valerie F. Leonard as she examines the issues that brought Dr. King to North Lawndale in 1966, and the overall state of the community today. Valerie is an expert in community and organizational development with a mission of strengthening the capacity of organizations to make a positive impact on the communities they serve through technical assistance, specialized workshops, resource and organizational development and project management. Nonprofits are often concerned with having just the right social media messages to promote year-end giving campaigns. When the dust settles, they still need to maintain compliance with state and federal regulators. These disclosure requirements provide an excellent opportunity for nonprofits to tell their stories; demonstrate impact and market their organizations and services. Join Holly Ivel, Director of Data Services for GuideStar, for a lively discussion on the importance of Form 990 and GuideStar profiles. Holly will highlight the Form 990 sections that may be used for marketing purposes and share excerpts from well- prepared Form 990’s. Call in live at (347) 884-8121. You don't need an account to listen, but, if you want to participate in an online chat, open a listener-only account at https://secure.blogtalkradio.com/register.aspx?type=listener to participate in a live chat. Visit Valeriefleonard.com. Archived episodes may be found at http://Valeriefleonard.com/NonprofitU, iTunes, Podcast Chart, Blubrry and Stitcher. How can nonprofits and other social enterprises deliver a better experience for customers and employees to increase value? Join John Corrigan, Founder and CEO of Journimap, L3C, and me for a lively and me for a lively discussion on customer experience. John will explain how customer experience practices used by for profit businesses -- such as qualitative research, personal development and customer journeymaps -- can support mission attainment and measurable improvements in social impact. Call in live at (347) 884-8121. You don't need an account to listen, but, if you want to participate in an online chat, open a listener-only account at https://secure.blogtalkradio.com/register.aspx?type=listener to participate in a live chat. Visit Valeriefleonard.com. Archived episodes may be found at http://Valeriefleonard.com/NonprofitU, iTunes, Podcast Chart, Blubrry and Stitcher. Blocks Together (BT) empowers residents to work together for systematic changes that bring concrete improvement to their lives. They tackle social justice issues relating to education, housing, economic justice and the criminalization of youth. Join Cecile Carroll-DeMello, Co-Director of Blocks Together, and me to discuss their upcoming community convention and meet and greet with Illinois’ gubernatorial candidates. We will hear updates on their work to ensure sustainable schools; promote cooperative economics and strategies for local village keepers. Call in live at (347) 884-8121. You don't need an account to listen, but, if you want to participate in an online chat, open a listener-only account at https://secure.blogtalkradio.com/register.aspx?type=listener to participate in a live chat. Visit Valeriefleonard.com. Archived episodes may be found at http://Valeriefleonard.com/NonprofitU, iTunes, Podcast Chart, Blubrry and Stitcher. Life after the military can be just as challenging for veterans and their families as serving in active combat. In their effort to transition back into civilian life, many struggle with a number of physical, psychological, social and economic issues. Join Dumont Moore, Founder of Veterans Strike Force, and me for a lively discussion of life after military service. We will talk about the most common issues impacting veterans and their families, including housing, education, employment and behavioral health; coping strategies, the work of the Veterans Strike Force and available resources. Call in live at (347) 884-8121. You don't need an account to listen, but, if you want to participate in an online chat, open a listener-only account at https://secure.blogtalkradio.com/register.aspx?type=listener to participate in a live chat. Visit Valeriefleonard.com. Archived episodes may be found at http://Valeriefleonard.com/NonprofitU, iTunes, Podcast Chart, Blubrry and Stitcher. We are living in an environment in which immigration laws are being aggressively enforced. This has several implications in the workplace. Join Jody Adler, the Director of the Community Law Project, and me for a lively discussion on immigration rights in the workplace. We will discuss: •I-9 audits •ICE Raids •What to do if ICE wants to detain certain people in your work environment •How employers can prepare •employers’ rights and responsibilities •what employers can do after an ICE action. •Additional resources Call in live at (347) 884-8121. You don't need an account to listen, but, if you want to participate in an online chat, open a listener-only account at https://secure.blogtalkradio.com/register.aspx?type=listener to participate in a live chat. Visit Valeriefleonard.com. Archived episodes may be found at http://Valeriefleonard.com/NonprofitU, iTunes, Podcast Chart, Blubrry and Stitcher. This communication is provided by the Community Law Project of the Chicago Lawyers' Committee for Civil Rights as a public service solely for informational purposes, and does not constitutes legal advice. It does not create an attorney-client relationship between the recipient and any other person, or an offer to create such a relationship. Please consult an attorney if you have questions regarding the contents of this communication or before taking any actions that may have legal consequences. It has been over 49 years since Martin Luther King, Jr. and the SCLC organized the first Poor People’s Campaign, with mixed results. What were the lessons learned that will help us today? Join Rev. Dr. Liz Theoharis, Co-Director of the Kairos Center, and Carolina Gaete, Co-Director of Blocks Together, for a lively discussion of their work on the Poor Peoples Campaign on the national and local levels. We will discuss the origins of the Poor People’s Campaign and its relevance today, give an overview of upcoming trainings and activities and let you know how you can get involved in the Movement. Call in live at (347) 884-8121. You don't need an account to listen, but, if you want to participate in an online chat, open a listener-only account at https://secure.blogtalkradio.com/register.aspx?type=listener to participate in a live chat. Visit Valeriefleonard.com. Archived episodes may be found at http://Valeriefleonard.com/NonprofitU, iTunes, Podcast Chart, Blubrry and Stitcher. Celebrated on the Tuesday following Thanksgiving, Black Friday and Cyber Monday, #GivingTuesday kicks off the charitable season. #ILGive is a24-hour digital fundraising event that connects individuals with the causes that matter to them, and empowers donors to give to the local nonprofits that tackle our communities' most critical issues. Is your organization ready? Learn everything you need to know about #GivingTuesday and #ILGive from the people that started the Movement. Asha Curran, Chief Innovation Officer and Director, Belfer Center for Innovation and Impact, 92Y and Kathleen Murphy, Director of Communications, Forefront, will provide a teach-in and share helpful hints to help you maximize opportunities for year-end fundraising success. Be sure to "try this at home”. Call in live at (347) 884-8121. You don't need an account to listen, but, if you want to participate in an online chat, open a listener-only account at https://secure.blogtalkradio.com/register.aspx?type=listener to participate in a live chat. Visit Valeriefleonard.com. Archived episodes may be found at http://Valeriefleonard.com/NonprofitU, iTunes, Podcast Chart, Blubrry and Stitcher. Join David Pendleton, the Executive Director of The Door of Hope Rescue Mission and me for a lively discussion. David will talk about the issues facing men in transition, share updates on the work of the Mission and ways to build capacity. The Door of Hope Rescue Mission opened in 1954 on Chicago's South Side, providing Christian discipleship for homeless men with a focus on empowerment, selfsufficiency and a community mind. This has increased the success ratio of one leaving the Mission for stable housing, and improved outlook on life and renewed and reconciled family and other estranged relationships. They have also distinguished themselves in our approach as well as providing a clean and safe environment. Call in live at (347) 884-8121. You don't need an account to listen, but, if you want to participate in an online chat, open a listener-only account at https://secure.blogtalkradio.com/register.aspx?type=listener to participate in a live chat. Visit Valeriefleonard.com. Archived episodes may be found at http://Valeriefleonard.com/NonprofitU, iTunes, Podcast Chart, Blubrry and Stitcher. Join Peter Creticos, President/Executive Director, Institute for Work & the Economy, for a lively discussion on the Institute’s work and their upcoming conference, The Many Futures of Work: Possibilities and Perils. The participatory conference will crowdsource guests’ expertise and insights and create real solutions that grow the middle; promote innovation, and tear-down barriers to economic security. The ideas from this conference will inform conversations and decisions at all levels and places. Nonprofit “U” listeners will have an opportunity to share some of their concerns and challenges in workforce development as well. With an emphasis on workforce development, Peter’s purpose in life is to conceive, develop and implement systems that enable people to achieve their own purposes and visions in the context of well-functioning community Call in live at (347) 884-8121. You don't need an account to listen, but, if you want to participate in an online chat, open a listener-only account at https://secure.blogtalkradio.com/register.aspx?type=listener to participate in a live chat. Visit Valeriefleonard.com. Archived episodes may be found at http://Valeriefleonard.com/NonprofitU, iTunes, Podcast Chart, Blubrry and Stitcher. The UIC Certificate for Nonprofit Management (CNM) program is the longest running 100% online nonprofit management program in the country, and serves students around the world. Students going through the program have managed to cut years off their nonprofit learning curve and implement lessons learned in class as they go along, making greater impact to clients and communities in the process. Join Princess Currence, PhD, MSW, Director of UIC’s @Work program and Coordinator of the Certificate in Nonprofit Management Program and me for a lively discussion on the UIC @Work program, and the Certificate in Nonprofit Management program. Princess is an experienced data-driven higher education leader and strategist with expertise in directing highly complex initiatives that increase access, academic success and graduation rates for underrepresented groups, as well as promote diversity & inclusion. She is an entrepreneur, consultant and nonprofit leader. With Commissioner Jesus “Chuy” Garcia serving as the Chief Sponsor, the Cook County Commission on Social Innovation was established by ordinance on April 12, 2016. The Commission is comprised of Cook County government department heads, economic development experts and community builders who leverage public and private sector resources to address Cook County’s most entrenched economic and workforce development issues. Join Marc J. Lane, Vice Chairman of the Cook County Commission on Social Innovation, and me to hear updates on the Commission’s accomplishments, including the adoption of resolutions to improve regional transit and create contracting opportunities for minority-owned businesses, nonprofits and social enterprises. Entrepreneurship is not for the faint of heart. The environment can be very competitive and cut throat. Shelby Parchman, a serial entrepreneur and business coach, works with business owners to guide their ideas from concept to implementation through training and relationship building. Join Shelby Parchman, serial entrepreneur, and me to talk about how new entrepeneurs can navigate the business landscape and create economic opportunities in their communities. In a December 2016 blogpost on the Tutor/Mentor.org website, Daniel Bassill, PhD, CEO of the Tutor/Mentor Institute, LLC, wrote "I am one of those people who fear what will happen to our democracy and freedom, and the planet's health, over the next few years. In some of the posts I've read, writers say 'don't lose hope' and 'get involved locally with a cause you care about'". Those kind of articles inspired Dan to build upon his work in connecting youth with tutoring, mentoring and careers to increase civic engagement around issues that present the greatest barriers to community improvement. In so doing, Dan has created maps and visualization tools to build youth service networks, as well as a planning tool to address issues such as community violence. Check out links to handouts in the comments section. Call in live at (347) 884-8121. You don't need an account to listen, but, if you want to participate in an online chat, open a listener-only account at https://secure.blogtalkradio.com/register.aspx?type=listener to participate in a live chat. Visit Valeriefleonard.com. Archived episodes may be found at http://Valeriefleonard.com/NonprofitU, iTunes, Podcast Chart, Blubrry and Stitcher. The Community Law Project helps to build, strengthen, and support community-based organizations that are focused on economic development in Chicago’s low-income neighborhoods and that offer the delivery of social services to residents of these areas. They bring hope to impoverished neighborhoods by supporting small businesses and home ownership. Working with volunteers from Chicago’s top law firms, the Community Law Project's expert legal staff provides nonprofit leaders and small businesses owners the knowledge to sustain the quality of their programs, improve outcomes, and spur economic development. Join us as Angie Hall, Staff Attorney with the Community Law Project, talks about the organizations small business and economic development programs. Call in live at (347) 884-8121. You don't need an account to listen, but, if you want to participate in an online chat, open a listener-only account at https://secure.blogtalkradio.com/register.aspx?type=listener to participate in a live chat. Visit Valeriefleonard.com. Archived episodes may be found at http://Valeriefleonard.com/NonprofitU, iTunes, Podcast Chart, Blubrry and Stitcher. Please note, that we have postponed today's episode of Nonprofit "U". Instead of a live discussion on Veterans' issues, we will discuss reasons the IRS denies applications for tax-exemption. The show on Veterans will be postponed for a later time. I will keep you posted. Filing for tax exemption is tedious, time-consuming, and not for the faint of heart. The process often requires applicants to “go back and forth” with the IRS for a number of reasons, including errors, clarification of statements and omission of key information. Clearly, following instructions is critical. Tune in as Valerie F. Leonard talks about some of the most common reasons the IRS rejects applications for tax exemption. Valerie is an expert in community and organizational development, with a mission of strengthening the capacity of organizations to make a positive impact on the communities they serve through technical assistance, specialized workshops, resource and organizational development and project management. She also teaches online courses in nonprofit management with the UIC Certificate in Nonprofit Management Program. She has designed a number of intensive workshops to help nonprofits build capacity, including Capacity Building Blocks, the 30-Day Disclosure Challenge and the 30-Day Compliance Challenge. When Paul Norrington, one of the driving forces behind the creation of the K-Town Historic District, suggested that President Obama build his Library in North Lawndale, his neighbors laughed him to scorn. UIC eventually partnered with the North Lawndale community to submit a bid that made it to the final round of the Obama Presidential Library site selection process. As a result, there is heightened interest in redeveloping the community. Paul is currently spearheading the celebration of North Lawndale’s 150th anniversary celebration and is working with the Chicago History Museum to re-write the Wikipedia article on North Lawndale. Join us for a lively conversation on how communities can focus on a community’s heritage to drive positive change. Call in live at (347) 884-8121. You don't need an account to listen, but, if you want to participate in an online chat, open a listener-only account at https://secure.blogtalkradio.com/register.aspx?type=listener to participate in a live chat. Visit Valeriefleonard.com. Archived episodes may be found at http://Valeriefleonard.com/NonprofitU, iTunes, Podcast Chart, Blubrry and Stitcher. The nonprofit landscape is changing dramatically. In spite of the fact that the national and state economies are in recovery, and foundations are giving more money, many nonprofits are finding it difficult to raise funds. The State of Illinois has unilaterally terminated nonprofit contracts and does not have a budget in place in order to make appropriations. Foundations’ priorities are constantly changing, and generally speaking, do not fund organizations for the long term. Nonprofits must position themselves for sustainability in the market place. Any discussion about sustainability must begin with strategy. Join Valerie F. Leonard for a discussion on strategic planning. She will talk about what a strategic planning process is, and its relationship to business planning; how to develop a theory of change model; how to engage internal and external stakeholders to maximize buy-in; how to align strategies and programs with the organization’s mission, vision , goals and objectives and how to develop and monitor work plans. Archived episodes may be found at http://Valeriefleonard.com/NonprofitU, iTunes, Podcast Chart, Blubrry and Stitcher. “Chicago area heritage musicians still play today, often in obscure holes-in-the-wall for very little money, competing for limited spots in downtown clubs, or exporting their skills overseas. At home, blues is an undervalued cultural asset. Crain's business magazine in January pointed out the city is losing money for failure to promote it. Chicago's West Side has a deeply-rooted history of blues and soul music. What if we could promote it to help develop a local tourism industry?” --Barrel House Bonni McKeown Join “Barrel House Bonni” McKeown, bluesman Larry Taylor and me as the discussion continues on Nonprofit “U”. We will talk about the history of blues on the West Side, and how it may be leveraged to develop heritage tourism. Call in live at (347) 884-8121. You don't need an account to listen, but, if you want to participate in an online chat, open a listener-only account at https://secure.blogtalkradio.com/register.aspx?type=listener to participate in a live chat. Visit Valeriefleonard.com. Archived episodes may be found at http://Valeriefleonard.com/NonprofitU, iTunes, Podcast Chart, Blubrry and Stitcher. As the resources for social services become more competitive, grant makers are looking to invest in programs that provide the maximum impact at a reasonable cost. This often means funding programs that have demonstrated success that can be replicated in other communities and scaled to reach more people. Join Valerie F. Leonard on Nonprofit "U" to talk about how to develop promising program models. Topics will include community needs assessment, logic models, evidence-based programs, data collection and program evaluation. Valerie is an expert in community and organizational development with a mission of strengthening the capacity of organizations to make a positive impact on the communities they serve through technical assistance, specialized workshops, resource and organizational development and project management. Noah Temaner Jenkins and me as we discuss grant writing strategies organizations can use as part of their sustainability toolbox. We will examine the complete proposal writing cycle; link proposal writing to the program design, implementation and evaluation processes and share strategies you can begin to “try at home” immediately. Noah Temaner Jenkins is a freelance organizational development and writing consultant for nonprofits. Her project portfolio includes grant writing, fundraising planning, program evaluation, board development, and strategic planning. She is adjunct faculty at UIC’s College of Urban Planning and Public Affairs. Ms. Jenkins teaches grant writing and related classes in the UIC Certificate in Nonprofit Management program. She holds a Master of Urban Planning and Policy and a Bachelor of Arts in Spanish, both from the University of Illinois at Chicago, where she graduated Phi Beta Kappa. When we speak of capacity, we are generally referring to organization’s potential to marshal their human, financial and other resources to effect positive change in the communities and clients they serve. Organizational capacity is impacted by a number of factors, including leadership, the organization’s stage of development and changes in the environment, to name a few. The Monroe Foundation was formed in 1991 to provide technical assistance in starting community and economic development projects within low-income communities, and provide emerging groups with seed grants through the PACT Project (Partnership For Assisting Community Transformation). Otis Monroe, CEO of the Monroe Foundation, will share lessons learned in his experiences working with African American-led organizations to build capacity, and the call for organizations to engage in the Chicago Community Trust’s On the Table discussions. Call in live at (347) 884-8121. You don't need an account to listen, but, if you want to participate in an online chat, open a listener-only account at https://secure.blogtalkradio.com/register.aspx?type=listener to participate in a live chat. Visit Valeriefleonard.com. Archived episodes may be found at http://Valeriefleonard.com/NonprofitU, iTunes, Podcast Chart, Blubrry and Stitcher. One of the greatest barriers to earning a college degree is the cost. Approximately 70% of college graduates have student loans averaging $37,172 (U.S. News and World Report, Kantrowitz 2017). The barrier of cost is compounded in low income communities, which typically have lower access to capital. JP Paulus, President of Do-Gooder Consulting, and I will discuss strategies to address financial barriers to college. JP has 16 years of experience serving and resourcing families and youth workers. He served through the Illinois Student Assistance Commission, Uptown Baptist Church and Oakdale Covenant Church. JP has presented the Illinois College Access Network, Tutor/Mentor Conference and Christian Community Development Association conferences. Call in live at (347) 884-8121. You don't need an account to listen, but, if you want to participate in an online chat, open a listener-only account at https://secure.blogtalkradio.com/register.aspx?type=listener to participate in a live chat. Visit Valeriefleonard.com. Archived episodes may be found at http://Valeriefleonard.com/NonprofitU, iTunes, Podcast Chart, Blubrry and Stitcher. “…Construction of the Obama Presidential Library itself is estimated to cost around $600 million, and could result in the creation of an estimated 1,900 permanent jobs. Surrounding neighborhoods could see $30 million in new food and retail development, which the report says could translate into as many as thirty restaurants, eleven stores, and a hotel.” (Uchicagogate.com) Given the potential community impact, is a community benefits agreement necessary? The Obama Foundation argues “no”, as the construction of the OPL, in and of itself, is a community benefit. Some local community organizations agree, adding that the Obamas can be trusted, and that it’s an insult to ask them to enter into such an agreement. However, the Obama Library South Side Community Benefits Agreement Coalition feels differently, given the historic displacement of low-income Black residents through the construction of the Dan Ryan Expressway, the CHA Plan for Transformation and fallout from school closings. Join us for a lively discussion on the Obama Presidential Library and the prospects of negotiating a community benefits agreement to protect community interests. Guests include Allegra Cira-Fischer, Staff Attorney with The Law Project; Jawanza Malone, Executive Director, KOCO and Dominic Surya, Organizer, Prayer and Action Collective of the Obama-library CBA Coalition. Call in live at (347) 884-8121. You don't need an account to listen, but, if you want to participate in an online chat, open a listener-only account at https://secure.blogtalkradio.com/register.aspx?type=listener to participate in a live chat. Visit Valeriefleonard.com. Archived episodes may be found at http://Valeriefleonard.com/NonprofitU, iTunes, Podcast Chart, Blubrry and Stitcher. Join Amalia NietoGomez, the Executive Director of the Alliance of the SouthEast for a lively discussion about strategies the organization is using to build safe, healthy communities and to ensure that new developments benefit local residents. Over the course of her career, Amalia has been engaged in a number of issues, including predatory lending, affordable housing, equitable and sustainable community development, community benefits agreements, CRA agreements, public safety and youth development. ASE is a multicultural, interfaith coalition of churches, schools, businesses, and community organizations, all working together to address the challenges facing the neighborhoods of Southeast Chicago. Formerly the Alianza Leadership Institute, the organization has grown from its beginnings as series of leadership skills workshops to a powerful network with over 40 community partners representing thousands of people. ASE builds the capacity of leaders, organizers, and associations that carry out community and social change. Call in live at (347) 884-8121. You don't need an account to listen, but, if you want to participate in an online chat, open a listener-only account at https://secure.blogtalkradio.com/register.aspx?type=listener to participate in a live chat. Visit Valeriefleonard.com. Archived episodes may be found at http://Valeriefleonard.com/NonprofitU, iTunes, Podcast Chart, Blubrry and Stitcher. Have you ever been hired to lead a nonprofit organization and wished that someone had written a book to help you navigate the landmines? Joan Garry just wrote that book, and she will be a guest on Nonprofit “U”. Joan will share highlights from her book, observations from her consulting practice and lessons learned from running a nonprofit organization. For nearly a decade, Joan Garry served as the Executive Director of GLAAD, one of the largest gay rights organizations in the country. She later acted as the co-chair of Barack Obama’s LGBT Finance Committee during his 2008 presidential campaign. Joan now works with nonprofit leaders, assisting with crisis management, executive coaching and the building of strong management teams to support the work of the CEO. She also teaches nonprofit media strategy as a professor at the Annenberg School for Communications at the University of Pennsylvania, and is a blogger for The Huffington Post. Call in live at (347) 884-8121. You don't need an account to listen, but, if you want to participate in an online chat, open a listener-only account at https://secure.blogtalkradio.com/register.aspx?type=listener to participate in a live chat. Visit Valeriefleonard.com. Archived episodes may be found at http://Valeriefleonard.com/NonprofitU, iTunes, Podcast Chart, Blubrry and Stitcher. Join Victor B. Dickson, the President and CEO of the Safer Foundation and me for a lively discussion. Victor will talk about the issues surrounding reentry, and the work the Safer Foundation is doing to help foster safer communities. Safer Foundation is a national leader in the fields of community corrections, prisoner reentry and workforce development. Through a comprehensive suite of programs and services, Safer Foundation assists individuals pre- and post-release from jail or prison with a full spectrum of services designed to overcome the barriers to reentry. The core of Safer’s mission is job preparation and placement which enables Safer Foundation clients to experience a substantially lower rate of recidivism. Safer Foundation provides “a road back” for individuals to reenter as productive, contributing members of society. Call in live at (347) 884-8121. You don't need an account to listen, but, if you want to participate in an online chat, open a listener-only account at https://secure.blogtalkradio.com/register.aspx?type=listener to participate in a live chat. Visit Valeriefleonard.com. Archived episodes may be found at http://Valeriefleonard.com/NonprofitU, iTunes, Podcast Chart, Blubrry and Stitcher. Join David Pendleton, the Executive Director of The Door of Hope Rescue Mission and me for a lively discussion. David will talk about the Mission's work and share lessons learned in delivering faith-based services to homeless men in transition. The Door of Hope Rescue Mission opened in 1954 on Chicago's South Side, providing Christian discipleship for homeless men with a focus on empowerment, self-sufficiency and a community mind. This has increased the success ratio of one leaving the Mission for stable housing, and improved outlook on life and renewed and reconciled family and other estranged relationships. They have also distinguished themselves in our approach as well as providing a clean and safe environment. Call in live at (347) 884-8121. You don't need an account to listen, but, if you want to participate in an online chat, open a listener-only account at https://secure.blogtalkradio.com/register.aspx?type=listener to participate in a live chat. Visit Valeriefleonard.com. Archived episodes may be found at http://Valeriefleonard.com/NonprofitU, iTunes, Podcast Chart, Blubrry and Stitcher. Being a member of the board of directors for a nonprofit organization is not to be taken lightly. There are a number of responsibilities, including maintaining compliance with regulators and funders. On top of that, the political climate warrants more nonprofit advocacy than ever. Church and nonprofit leaders would like to engage in civic affairs without jeopardizing their organizations’ tax-exempt status. Tune in to Nonprofit “U” when Jody Adler, the Director of the Law Project, discusses the board’s role in maintaining compliance with state and federal regulations; differences between political activities and lobbying; activities in which tax-exempt organizations and churches can and cannot engage; and an overview of the Law Project’s Compliance Institute. Call in live at (347) 884-8121. You don't need an account to listen, but, if you want to participate in an online chat, open a listener-only account at https://secure.blogtalkradio.com/register.aspx?type=listener to participate in a live chat. Visit Valeriefleonard.com. Archived episodes may be found at http://Valeriefleonard.com/NonprofitU, iTunes, Podcast Chart, Blubrry and Stitcher. North Lawndale Then and Now: What has changed since Dr. King walked among us? Dr. Martin Luther King, Jr. came to North Lawndale in 1966 to launch a fight for fair housing. Fast forward to 2017, what has changed? Join Valerie F. Leonard as she examines the issues that brought Dr. King to North Lawndale in 1966, and the overall state of the community today. Valerie is an expert in community and organizational development with a mission of strengthening the capacity of organizations to make a positive impact on the communities they serve through technical assistance, specialized workshops, resource and organizational development and project management. Call in live at (347) 884-8121. You don't need an account to listen, but, if you want to participate in an online chat, open a listener-only account at https://secure.blogtalkradio.com/register.aspx?type=listener to participate in a live chat. Visit Valeriefleonard.com. Archived episodes may be found at http://Valeriefleonard.com/NonprofitU, iTunes, Podcast Chart, Blubrry and Stitcher. Trouble connecting? Email support@blogtalkradio.com. What does 2017 hold for nonprofit organizations? Join Valerie F. Leonard as she shares forecasts from national organizations and experts based on emerging trends in the nonprofit sector. She will also share results of her own survey of local nonprofit listeners to get a sense for the mood here “at home”. Valerie is an expert in community and organizational development with a mission of strengthening the capacity of organizations to make a positive impact on the communities they serve through technical assistance, specialized workshops, resource and organizational development and project management. Call in live at (347) 884-8121. You don't need an account to listen, but, if you want to participate in an online chat, open a listener-only account at https://secure.blogtalkradio.com/register.aspx?type=listener to participate in a live chat. Visit Valeriefleonard.com. Archived episodes may be found at http://Valeriefleonard.com/NonprofitU, iTunes, Podcast Chart, Blubrry and Stitcher. When we speak of nonprofit sustainability, we think of organizations’ ability to raise money. It’s more than that. It’s a combination of things-fundraising, organizational infrastructure, adherence to mission and core values, credibility, leadership and management—that give organizations staying power. Join Valerie F. Leonard for a lively discussion on nonprofit sustainability. Valerie is an expert in community and organizational development with a mission of strengthening the capacity of organizations to make a positive impact on the communities they serve through technical assistance, specialized workshops, resource and organizational development and project management. Call in live at (347) 884-8121. You don't need an account to listen, but, if you want to participate in an online chat, open a listener-only account at https://secure.blogtalkradio.com/register.aspx?type=listener to participate in a live chat. Visit Valeriefleonard.com. Archived episodes may be found at http://Valeriefleonard.com/NonprofitU, iTunes, Podcast Chart, Blubrry and Stitcher. The Cook County Commission on Social Innovation was established by ordinance on April 12, 2016, with Commissioner Jesús "Chuy" García as the chief sponsor. The Commission, comprised of thought leaders in the non-profit, government, and private sectors, uses data-driven strategies to drive social change through job creation and workforce development, entrepreneurship, community revitalization and industrial development. Marc J. Lane, Esq., Vice Chairman of the Cook County Commission on Social Innovation, will provide an update of the Commission’s work; compare and contrast social innovation and social entrepreneurship and share innovative strategies for social change. Call in live at (347) 884-8121. You don't need an account to listen, but, if you want to participate in an online chat, open a listener-only account at https://secure.blogtalkradio.com/register.aspx?type=listener to participate in a live chat. Visit Valeriefleonard.com. Archived episodes may be found at http://Valeriefleonard.com/NonprofitU, iTunes, Podcast Chart, Blubrry and Stitcher. Naomi Davis’ core beliefs can be summarized as follows: “Conserve or collapse; help is not on the way; nothing trumps self-help; only a whole-system solution can transform a whole-system problem.” To that end, she founded Blacks In Green (BIG) to create a 5-year green-village-building proof of concept in a TIF in Chicago’s West Woodlawn community. She has also been instrumental in the negotiations surrounding a community benefits agreement between the Englewood community and Norfolk Southern Railroad. Join Naomi and me as she shares lessons learned from this work, as well as the 8 Principles of Green Village Building.Call in live at (347) 884-8121. You don't need an account to listen, but, if you want to participate in an online chat, open a listener-only account at https://secure.blogtalkradio.com/register.aspx?type=listener to participate in a live chat. Visit Valeriefleonard.com. Archived episodes may be found at http://Valeriefleonard.com/NonprofitU, iTunes, Podcast Chart, Blubrry and Stitcher. Naomi Davis’ core beliefs can be summarized as follows: “Conserve or collapse; help is not on the way; nothing trumps self-help; only a whole-system solution can transform a whole-system problem.” To that end, she founded Blacks In Green (BIG) to create a 5-year green-village-building proof of concept in a TIF in Chicago’s West Woodlawn community. She has also been instrumental in the negotiations surrounding a community benefits agreement between the Englewood community and Norfolk Southern Railroad. Join Naomi and me as she shares lessons learned from this work, as well as the 8 Principles of Green Village Building. Call in live at (347) 884-8121. You don't need an account to listen, but, if you want to participate in an online chat, open a listener-only account at https://secure.blogtalkradio.com/register.aspx?type=listener to participate in a live chat. Visit Valeriefleonard.com. Archived episodes may be found at http://Valeriefleonard.com/NonprofitU, iTunes, Podcast Chart, Blubrry and Stitcher. Join Noah Temaner Jenkins and me as we discuss grant writing strategies organizations can use as part of their sustainability toolbox. We will examine the complete proposal writing cycle; link proposal writing to the program design, implementation and evaluation processes and share strategies you can begin to “try at home” immediately. Noah Temaner Jenkins is a freelance organizational development and writing consultant for nonprofits. Her project portfolio includes grant writing, fundraising planning, program evaluation, board development, and strategic planning. She is adjunct faculty at UIC’s College of Urban Planning and Public Affairs. Ms. Jenkins teaches grant writing and related classes in the UIC Certificate in Nonprofit Management program. She holds a Master of Urban Planning and Policy and a Bachelor of Arts in Spanish, both from the University of Illinois at Chicago, where she graduated Phi Beta Kappa. When we last spoke with Carolina Gaete and Cecile Carroll-DeMello, we learned how they have managed to work with local residents and elected officials to bring democracy to the TIF program, develop affordable housing and make micro-financing available to small businesses from the neighborhood. They are now ready to launch the TIF Toolkit to share the lessons they have learned along the way with community practitioners around the City. Join us in a lively discussion about the TIF Toolkit and the upcoming community launch. Call in live at (347) 884-8121. You don't need an account to listen, but, if you want to participate in an online chat, open a listener-only account at https://secure.blogtalkradio.com/register.aspx?type=listener to participate in a live chat. Visit Valeriefleonard.com. Archived episodes may be found at http://Valeriefleonard.com/NonprofitU, iTunes, Podcast Chart, Blubrry and Stitcher. Between 2012 and 2015 alone, the City of Chicago paid $210 million to settle 655 police misconduct cases. A disproportionate number of these cases were in African American and Latino neighborhoods, many of which are undergoing significant change. These cases were typically settled by the City, with no admission of guilt on the part of the officers involved. Not only did these cases further weaken already strained relationships between the Police and the impacted communities, they diverted resources that could have been otherwise used for city services or neighborhood revitalization. The Chicago Reporter created an interactive database to analyze the cases at length, and to provide policy makers, activists and journalists with the information they need to make inferences and informed recommendations. Join Susan Smith Richardson, the Editor and Publisher of the Chicago Reporter, and me in an informative discussion about their initial findings regarding police misconduct cases; an overview of the database, and ways website visitors may use the data to engage their constituencies to begin the process of identifying critical issues and solutions and increasing police accountability. The expansion of the Norfolk Southern’s Englewood Railyard required the acquisition of 557 parcels of land, 104 parcels of which were owned by the City of Chicago, within a local TIF and valued at $1.105 million. The expansion presented a number of challenges, including displacement of Englewood residents through eminent domain, and compounding of existing environmental problems. Rev. John Ellis, an Englewood resident, saw a public notice in the newspaper indicating that the City of Chicago intended to enter into a negotiated sale of 104 parcels to Norfolk-Southern and notified his neighbors, who immediately began to organize. They created Sustainable Englewood Initiatives, led by John Paul Jones, and engaged other Englewood residents, the Environmental Law and Policy Center, the City of Chicago and Norfolk-Southern Railroad to explore the impact of the development upon the community and to create win-win solutions for all parties concerned. Rev. Ellis will join us, and give a status report on the Norfolk-Southern CBA with the Englewood community, and share lessons learned from his experiences. Call in live at (347) 884-8121. You don't need an account to listen, but, if you want to participate in an online chat, open a listener-only account at https://secure.blogtalkradio.com/register.aspx?type=listener to participate in a live chat. Visit Valeriefleonard.com. Archived episodes may be found at http://Valeriefleonard.com/NonprofitU, iTunes, Podcast Chart, Blubrry and Stitcher. A Community Benefits Agreement ("CBA") is a contract signed by community groups and a real estate developer that requires the developer to provide specific amenities and/or mitigations to the local community or neighborhood. (Wikipedia) Join Jody Adler, Allegra Cira Fischer and me in a lively discussion on CBA’s. We will talk about what CBA’s are; the pros and cons, and some of The Law Project’s work in supporting local community based coalitions in their quest for greater democracy in development. Jody Adler is the Director of The Law Project. She specializes in the law of exempt organizations working with community-based nonprofit organizations. Jody has taught classes in nonprofit law and management for Oakton Community College and Spertus College. She is on the board of directors of AIDS Legal Council of Chicago and Changing Worlds, a Chicago-area arts in education organization. Allegra is a staff attorney with The Law Project (TLP), which is the community development project of the Chicago Lawyers’ Committee for Civil Rights. Allegra’s focus at TLP is on equitable and inclusive development, and she works with coalitions of non-profit organizations in negotiations with developers to secure benefits for surrounding communities, including commitments to build affordable housing, hire local residents and pay livable wages, among other investments important to Chicago neighborhoods and their residents. Call in live at (347) 884-8121. You don't need an account to listen, but, if you want to participate in an online chat, open a listener-only account at https://secure.blogtalkradio.com/register.aspx?type=listener to participate in a live chat. Visit Valeriefleonard.com. Archived episodes may be found at http://Valeriefleonard.com/NonprofitU, iTunes, Podcast Chart, Blubrry and Stitcher. The nonprofit landscape is changing dramatically. In spite of the fact that the national and state economies are in recovery, and foundations are giving more money, many nonprofits are finding it difficult to raise funds. The State of Illinois has unilaterally terminated nonprofit contracts and does not have a budget in place in order to make appropriations. Foundations’ priorities are constantly changing, and generally speaking, do not fund organizations for the long term. Nonprofits must position themselves for sustainability in the market place. Any discussion about sustainability must begin with strategy. Join Valerie F. Leonard for a discussion on strategic planning. She will talk about what a strategic planning process is, and its relationship to business planning; how to develop a theory of change model; how to engage internal and external stakeholders to maximize buy-in; how to align strategies and programs with the organization’s mission, vision , goals and objectives and how to develop and monitor work plans. Call in live at (347) 884-8121. You don't need an account to listen, but, if you want to participate in an online chat, open a listener-only account at https://secure.blogtalkradio.com/register.aspx?type=listener to participate in a live chat. Visit Valeriefleonard.com. Archived episodes may be found at http://Valeriefleonard.com/NonprofitU, iTunes, Podcast Chart, Blubrry and Stitcher. Most people would agree that program evaluation is important, but, in practice, many emerging organizations don’t do it. In some cases, managers are so busy running programs and trying to find the resources to keep them going, that they find it difficult to find the time to reflect. In other cases, there is no funding to pay an outside evaluator. Still, others find the whole process to be a mystery. In the meantime, it’s hit or miss in providing programs that are relevant to the community and attractive to funders. Join Valerie F. Leonard for a discussion on program evaluation. She will talk about the most common types of evaluation; why they are important; what to do when there’s no funding for evaluation and how the information may be used to strengthen programs. Call in live at (347) 884-8121. You don't need an account to listen, but, if you want to participate in an online chat, open a listener-only account at https://secure.blogtalkradio.com/register.aspx?type=listener to participate in a live chat. Visit Valeriefleonard.com. Archived episodes may be found at http://Valeriefleonard.com/NonprofitU, iTunes, Podcast Chart, Blubrry and Stitcher. When Gallup and the Knight Foundation set out to answer the question “What attaches people to their communities?” they found that the key reasons cited by residents for loving their cities were entertainment and social offerings, how welcoming the city is and its aesthetics — in other words, the arts and culture. That finding was not news to Alderman Michael Scott, Jr., or his wife Natashee. The couple have been patrons of the arts for years. In an effort to build community and make North Lawndale a destination for arts and entertainment, the Scotts started the annual Westside Musical Festival, which will run again on August 20 2016. Join Natashee and Michael Scott, Jr. as they share lessons learned in developing the festival. We will discuss ways the Westside Music Festival is being used to build community; develop a sense of place for North Lawndale and to spur economic development and tourism. Call in live at (347) 884-8121. You don't need an account to listen, but, if you want to participate in an online chat, open a listener-only account at https://secure.blogtalkradio.com/register.aspx?type=listener to participate in a live chat. Visit Valeriefleonard.com. Archived episodes may be found at http://Valeriefleonard.com/NonprofitU, iTunes, Podcast Chart, Blubrry and Stitcher. It has been over 50 years since North Lawndale has had a comprehensive plan that could be used to attract resources and guide public policy as it relates to transportation, utilities, land use, recreation, and housing. As a result, much of the limited development that has occurred in recent years has not been coordinated or yielded maximum impact for the community as a whole. There are some pockets of North Lawndale that have seen significant development, while other parts have remained untouched since the 1950’s. In an effort to rectify this situation, the North Lawndale Community Coordinating Council (NLCCC) recently held its first annual community planning conference, in partnership with the Chicago Metropolitan Agency for Planning (CMAP), at the DRW College Prep High School on Chicago’s West Side. Join us as we recap the conference and share next steps for the community planning process. Guests will be Alderman Michael Scott, Jr., Rodney Brown and Dennis Deer. Alderman Michael Scott, Jr. represents the 24th Ward on Chicago's West Side. Rodney Brown and Dennis Deer, along with Host Valerie F. Leonard, are members of the Executive Sub-Committee of NLCCC. Call in live at (347) 884-8121. You don't need an account to listen, but, if you want to participate in an online chat, open a listener-only account at https://secure.blogtalkradio.com/register.aspx?type=listener to participate in a live chat. Visit Valeriefleonard.com. Archived episodes may be found at http://Valeriefleonard.com/NonprofitU, iTunes, Podcast Chart, Blubrry and Stitcher. Today's guest is Shelby Parchman, Director of Programs for Sunshine Enterprises. We will follow up on what has happened over the past several months since he was last on the show. Not only will we look at some of Sunshine Enterprises' success stories, but Shelby will share more lessons learned from his work in the entrepreneurial trenches. He will also discuss ways nonprofits can think outside of the box and how nonprofits can invest their time and resources to reap maximum rewards. Finally, he will discuss ways nonprofits can add value to existing models. Call in live at (347) 884-8121. You don't need an account to listen, but, if you want to participate in an online chat, open a listener-only account at https://secure.blogtalkradio.com/register.aspx?type=listener to participate in a live chat. Visit Valeriefleonard.com. Archived episodes may be found at http://Valeriefleonard.com/NonprofitU, iTunes, Podcast Chart, Blubrry and Stitcher. O.S. Owen discusses the upcoming "Learning to Play the Game of Financial Success" workshop series in honor of Money Smart Week. The event will take place Wednesday, April 27th 2016 9am-3pm at Nichols Tower 906 South Homan Ave 14th Floor, Chicago IL 60624. Sponsors include NLEN, PNC Bank, Kingdom Community, The Monroe Foundation, Alderman Michael Scott, Jr. and Commissioner Robert Steele. When we think of a social enterprise, we often think of a nonprofit business that is operating a for-profit subsidiary. End of story. In reality, there are several legal structures from which to choose, and no one size fits all. Tune in as Erirca Spangler Raz discusses social enterprises, the various legal structures, and the pros and cons of each.. Erica Spangler Raz is a Staff Attorney for The Law Project and works primarily in the Nonprofit Support Program. She has counseled hundreds of nonprofit organizations and regularly presents seminars on board responsibilities and fiduciary duties, startup nonprofit business planning, income tax exemption, financial distress and dissolution, and general nonprofit governance and compliance to community groups, nonprofit consultants and attorneys. Call in live at (347) 884-8121. You don't need an account to listen, but, if you want to participate in an online chat, open a listener-only account at https://secure.blogtalkradio.com/register.aspx?type=listener to participate in a live chat. Visit Valeriefleonard.com. Archived episodes may be found at http://Valeriefleonard.com/NonprofitU, iTunes, Podcast Chart, Blubrry and Stitcher. Our guest for today is O.S. Owen, an inspiring trainer and motivator with diverse work experience focused on community empowerment, training and Financial Coaching and Counseling that's certified through the Center for Financial Social Work. You will find a full bio for O.S. and a link to the NLEN Financial Opportunity Center on my blog, Nonprofit “U”, under “Episode 37: Creating Opportunities for Working Families” Go to http://Valeriefleonard.com/NonprofitU and click onto the Episodes page. Call in live at (347) 884-8121. You don't need an account to listen, but, if you want to participate in an online chat, open a listener-only account at https://secure.blogtalkradio.com/register.aspx?type=listener to participate in a live chat. Visit Valeriefleonard.com. Archived episodes may be found at http://Valeriefleonard.com/NonprofitU, iTunes, Podcast Chart, Blubrry and Stitcher. There is a tendency to go from program development to submitting funding proposals to different foundations. We often overlook a critical step in between-developing a case statement. The case statement helps organizational stakeholders develop a shared vision and commitment, and provides consistency as the organization develops proposals, articles, publication and other content. Join us for a lively discussion about develop ping case statements. We will discuss what they are, how they are used; the major components and some of the pitfalls to avoid. Valerie F. Leonard is an expert in community and organizational development, with a mission to help organizations make a greater impact on the communities they serve. She is an adjunct instructor with the UIC Certificate in Nonprofit Management Program, and is a fundraising expert with DonorPath. Call in live at (347) 884-8121. You don't need an account to listen, but, if you want to participate in an online chat, open a listener-only account at https://secure.blogtalkradio.com/register.aspx?type=listener to participate in a live chat. Visit Valeriefleonard.com. Archived episodes may be found at http://Valeriefleonard.com/NonprofitU, iTunes, Podcast Chart, Blubrry and Stitcher. Research from Altarum Institute shows that if we can close income and employability gaps between white workers and workers of color, we would see a $2 trillion increase to the US economy each year and GDP growth of $5 trillion by 2030. J. Michael Carr, the Executive Director of Fathers for the Future, is doing his part. Under his leadership the organization has created financial literacy workshops, mentoring programs and alumni networks for young fathers. J. Michael Carr is a native of Chicago, and grew up on the city’s south side. He earned a bachelor’s degree in accounting and a master’s in business administration with a concentration in nonprofit management from Roosevelt University. He has been a financial analyst for the Chicago Municipal Employees Credit Union; the Controller at Gustafson/Shields, an advertising agency; Business Manager of Enrollment at DePaul University; grant manager of at Rotary International; and a field auditor at American National Bank and recently served as the Interim Director of Finance and Administration of Alternatives, Inc., a major nonprofit serving Chicago’s at-risk youth. Call in live at (347) 884-8121. You don't need an account to listen, but, if you want to participate in an online chat, open a listener-only account at https://secure.blogtalkradio.com/register.aspx?type=listener to participate in a live chat. Visit Valeriefleonard.com. Archived episodes may be found at http://Valeriefleonard.com/NonprofitU, iTunes, Podcast Chart, Blubrry and Stitcher. Ashleigh Wayland is the Communications Officer for LISC-Chicago, specializing in public relations, strategic communications and media relations. She provides corporate communications, crisis communications, strategic planning, special events and earned media support.. LISC is an intermediary, and works with emerging nonprofits to get the resources they need to build their own capacity while strengthening their local communities. Join us for Episode 34: Communicating on Purpose. We will discuss ways nonprofits can align their communications strategies with their mission, goals and objectives. We will also explore low-cost strategies nonprofit organizations can get their message out with impact. Call in live at (347) 884-8121. You don't need an account to listen, but, if you want to participate in an online chat, open a listener-only account at https://secure.blogtalkradio.com/register.aspx?type=listener to participate in a live chat. Visit Valeriefleonard.com. Archived episodes may be found at http://Valeriefleonard.com/NonprofitU, iTunes, Podcast Chart, Blubrry and Stitcher. Today’s topic is “In the Public Domain”. We will be discussing how to write effective government proposals. We will cover: Definition of ProposalStrategic PlanningProgram PlanningPreparationDeveloping IdeasCommunity SupportFinding ResourcesWriting the ProposalContract/Grant AdministrationCompliance Call in live at (347) 884-8121. You don't need an account to listen, but, if you want to participate in an online chat, open a listener-only account at https://secure.blogtalkradio.com/register.aspx?type=listener to participate in a live chat. Visit Valeriefleonard.com. Archived episodes may be found at http://Valeriefleonard.com/NonprofitU, iTunes, Podcast Chart, Blubrry and Stitcher. Join us in a lively discussion with Evelyn Ross, the Executive Director of NEBC, based in the Austin Community on Chicago’s West Side. NEBC provides a variety of programs and services for youth, adults, seniors, including re-entry citizens, veterans, and persons with disabilities including "Seasoned Citizens", and educational, social, and recreational program for senior citizens; "NEBC Summer Camp", an 8-week youth recreational program; employment program for Persons with Disabilities, "You Got Served" an 10-week culinary & hospitality training program offered year-round for youth; and our 12-week certification programs in computer and networking technologies. NEBC’s mission is to put disadvantaged individuals and families on a path to success and transform the quality of life in Chicago through activities that lead to full employment for the citizens of the Westside community. Call in live at (347) 884-8121. You don't need an account to listen, but, if you want to participate in an online chat, open a listener-only account at https://secure.blogtalkradio.com/register.aspx?type=listener to participate in a live chat. Visit Valeriefleonard.com. Archived episodes may be found at http://Valeriefleonard.com/NonprofitU, iTunes, Podcast Chart, Blubrry and Stitcher. Today’s episode is “The Role of Church and Community Development”. We will discuss the history of the African Methodist Episcopal (AME) Church and its impact on community and society in particular and the role of the Church, in general, and its responsibility to community. Our guest for today is Rev. Albert D. Tyson III, the Presiding Elder of the North District, Chicago Conference of the African Methodist Episcopal (AME) Church. The AME Church was founded in 1787, and has a mission to minister to the social, spiritual, and physical development of all people. Elder Tyson is highly involved in the AME Church, and the community and civic affairs of Chicago and beyond. His resume is extensive, and time does not permit me to share it all, but here are a few highlights. Elder Tyson is a member of the Board of Examiners of the Chicago Conference African Methodist Episcopal Church. He has served as the Vice-President and and the Parliamentarian of the Board of Directors for the Interfaith Organizing Project (IOP). Elder Tyson also has served as the Treasurer, and eventually, the President, of the Near Westside Community Development Corporation (NWSCDC). He is a former member of the Board of Trustees for Chicago City Colleges and was recently appointed as a commissioner with the Chicago Public Building Commission. Call in live at (347) 884-8121. You don't need an account to listen, but, if you want to participate in an online chat, open a listener-only account at https://secure.blogtalkradio.com/register.aspx?type=listener to participate in a live chat. Visit Valeriefleonard.com. Archived episodes may be found at http://Valeriefleonard.com/NonprofitU, iTunes, Podcast Chart, Blubrry and Stitcher. Being a member of the board of directors for a nonprofit organization is not to be taken lightly. There are a number of responsibilities, including maintaining compliance with regulators and funders. On top of that, the political season is upon us, and church and nonprofit leaders would like to engage in civic affairs without jeopardizing their organizations’ tax-exempt status. Tune in to Nonprofit “U” when Jody Adler, the Director of the Law Project, discusses the board’s role in maintaining compliance with state and federal regulations; differences between political activities and lobbying; activities in which tax-exempt organizations and churches can and cannot engage; and an overview of the Law Project’s Compliance Institute. member of the board of directors for a nonprofit organization is not to be taken lightly. There are a number of responsibilities, including maintaining compliance with regulators and funders. On top of that, the political season is upon us, and church and nonprofit leaders would like to engage in civic affairs without jeopardizing their organizations’ tax-exempt status. Call in live at (347) 884-8121. You don't need an account to listen, but, if you want to participate in an online chat, open a listener-only account at https://secure.blogtalkradio.com/register.aspx?type=listener to participate in a live chat. Visit Valeriefleonard.com. Archived episodes may be found at http://Valeriefleonard.com/NonprofitU, iTunes, Podcast Chart, Blubrry and Stitcher. Brenda Palms Barber moved to Chicago 15 years ago and started the North Lawndale Employment Network to assist returning citizens transition back to society through employment and other resources. Under her leadership, NLEN has grown from 2 to 21 employees, and provides job training and financial literacy to over 2,000 men and women. Tune in to Nonprofit “U” when Brenda discusses proven strategies for effective fundraising. Topics will include stakeholder engagement, diversifying income streams, social enterprise and nonprofit compliance. Brenda will also share a case study written by Kathleen Fletcher so that participants can immediately apply lessons learned and discuss them. Download the case study at https://www.scribd.com/doc/296594725/Fundraising-Training-What-is-the-Color-of-Their-Money-2 Call in live at (347) 884-8121. You don't need an account to listen, but, if you want to participate in an online chat, open a listener-only account at https://secure.blogtalkradio.com/register.aspx?type=listener to participate in a live chat. Visit Valeriefleonard.com. Archived episodes may be found at http://Valeriefleonard.com/NonprofitU, iTunes, Podcast Chart, Blubrry and Stitcher. The TIF Illumination Project produces reports to track the performance of Chicago’s TIFs. Among their findings were: Total expenditures from Chicago’s TIFs in 2014 were $638.3 million. This represented an increase from 2013 of $265.4 million or 71%) This is how much all of Chicago’s TIF districts spent in 2014. The biggest spender was the Near South TIF with $102.3 million. $28 million will go to subsidize the development of the Marriot’s Hotel on the McCormick Place campus. $53.2 million went to the Board of Education for the Jones College Prep High School. $11.6 million went to the CTA for construction of the new Cermak Road Green Line station. Join us as we talk with Tom Tresser, the lead organizer for the TIF Illumination Project to discuss the pros and cons of TIFs and their impact to Chicago and local communities. Here is a link to the 2014 TIF Analysis. http://www.tifreports.com/2014-tif-analysis/ Call in live at (347) 884-8121. You don't need an account to listen, but, if you want to participate in an online chat, open a listener-only account at https://secure.blogtalkradio.com/register.aspx?type=listener to participate in a live chat. Visit Valeriefleonard.com. Archived episodes may be found at http://Valeriefleonard.com/NonprofitU, iTunes, Podcast Chart, Blubrry and Stitcher. Filing for tax exemption is tedious, time-consuming, and not for the faint of heart. The process often requires applicants to “go back and forth” with the IRS for a number of reasons, including errors, clarification of statements and omission of key information. Clearly, following instructions is critical. Tune in as Valerie F. Leonard talks about some of the most common reasons the IRS rejects applications for tax exemption. Valerie is an expert in community and organizational development, with a mission of strengthening the capacity of organizations to make a positive impact on the communities they serve through technical assistance, specialized workshops, resource and organizational development and project management. She also teaches online courses in nonprofit management with the UIC Certificate in Nonprofit Management Program. She has designed a number of intensive workshops to help nonprofits build capacity, including Capacity Building Blocks, the 30-Day Disclosure Challenge and the 30-Day Compliance Challenge. Call in live at (347) 884-8121. You don't need an account to listen, but, if you want to participate in an online chat, open a listener-only account at https://secure.blogtalkradio.com/register.aspx?type=listener to participate in a live chat. Visit Valeriefleonard.com. Archived episodes may be found at http://Valeriefleonard.com/NonprofitU, iTunes, Podcast Chart, Blubrry and Stitcher. Domestic Violence Awareness Month is in October, and the issue does not disappear just because the month has come and gone. Domestic Violence continues to rear its ugly head on a number of fronts--child abuse; spousal abuse; domestic partner abuse and elder abuse. Left unchecked, domestic violence can lead to a number of unintended consequences, including homelessness, loss of income, low self-esteem, and even death. Dr. Dennis Deer, President of Deer Rehabilitative Services, Inc., a full service behavioral health company, will be our guest today. We will talk about domestic violence, how to identify people who have been abused, ways we may help them, and available resources. Call in live at (347) 884-8121. You don't need an account to listen, but, if you want to participate in an online chat, open a listener-only account at https://secure.blogtalkradio.com/register.aspx?type=listener to participate in a live chat. Visit Valeriefleonard.com. Archived episodes may be found at http://Valeriefleonard.com/NonprofitU, iTunes, Podcast Chart, Blubrry and Stitcher. Tune in as Valerie F. Leonard talks about how to start and manage a nonprofit business in the State of Illinois. Topics of discussion include conducting a community needs assessment; selecting your team; developing the bylaws; incorporating your organization, filing for tax exemption and managing the organization. Valerie is an expert in community and organizational development, with a mission of strengthening the capacity of organizations to make a positive impact on the communities they serve through technical assistance, specialized workshops, resource and organizational development and project management. She also teaches online courses in nonprofit management with the UIC Certificate in Nonprofit Management Program. She has designed a number of intensive workshops to help nonprofits build capacity, including Capacity Building Blocks, the 30-Day Disclosure Challenge and the 30-Day Compliance Challenge. Call in live at (347) 884-8121. You don't need an account to listen, but, if you want to participate in an online chat, open a listener-only account at https://secure.blogtalkradio.com/register.aspx?type=listener to participate in a live chat. Visit Valeriefleonard.com. Archived episodes may be found at http://Valeriefleonard.com/NonprofitU, iTunes, Podcast Chart, Blubrry and Stitcher. Join us for a lively discussion on how nonprofit organizations may increase their fundraising capacity through transparency and enhanced disclosure utilizing GuideStar Profiles. Our special guest will be Jasmine Marrow, the Director of Nonprofit Strategy for GuideStar. Jasmine develops strategy for and oversees the GuideStar Exchange program, GuideStar's primary initiative to engage nonprofits. She is also the Product Manager for the TakeAction initiative, GuideStar's primary initiative to engage individual donors. Jasmine oversees GuideStar’s Philanthropedia program, which rates verified, financially responsible charities according to how much great work they're doing. Jasmine leads Philanthropedia's research efforts, including developing international expansion, rerunning old causes, and expediting strategy for continued growth into new causes. GuideStar USA, Inc. is an information service specializing in reporting on U.S. nonprofit companies. In 2010, their database contained over 5 million IRS Forms 990 on 1.9 million organizations. Call in live at (347) 884-8121. You don't need an account to listen, but, if you want to participate in an online chat, open a listener-only account at https://secure.blogtalkradio.com/register.aspx?type=listener to participate in a live chat. Visit Valeriefleonard.com. Archived episodes may be found at http://Valeriefleonard.com/NonprofitU, iTunes, Podcast Chart, Blubrry and Stitcher. Robert M. Douglas Sr. is the Founder & Co- Director of the S.O.N Foundation. As a youth, Mr. Douglas participated in youth programs at Palmer Park, and played for Palmer Park Eagles Football and A’s baseball teams. In 1991, Mr. Douglas suffered the painful loss of his brother Anthony Darwin Douglas, who fell victim to the crime that is currently plaguing Roseland, called gun violence. Determined to ensure that the loss was not in vain, Mr. Douglas organized the S.O.N Foundation with the vision of making the Roseland community safer and supportive. Join us as Robert talks about ways to stimulate community revitalization and promote self-determination, in low income communities. Call in live at (347) 884-8121. You don't need an account to listen, but, if you want to participate in an online chat, open a listener-only account at https://secure.blogtalkradio.com/register.aspx?type=listener to participate in a live chat. Visit Valeriefleonard.com. Archived episodes may be found at http://Valeriefleonard.com/NonprofitU, iTunes, Podcast Chart, Blubrry and Stitcher. Ralph Martire, the Executive Director for the Center for Tax and Budget Accountability (CTBA) believes it essential to have the commitment and ability to stay focused on resolving major inequities for the long term, and to work collaboratively with other experts, organizations, and opinion leaders to move the agenda forward. “Gone are the days when community leaders could gather a crowd, make an emotional appeal, and then step back and watch elected officials respond in a meaningful way”, Martire said. “Not only must nonprofit leaders make the moral case for systemic change, they have to be prepared to back it up with evidence.” Join us as Ralph Martire talks about CBTA’s programs and services and ways community-based organizations can use data to drive policy, advocacy and programs to bring about social justice. Call in live at (347) 884-8121. You don't need an account to listen, but, if you want to participate in an online chat, open a listener-only account at https://secure.blogtalkradio.com/register.aspx?type=listener to participate in a live chat. Visit Valeriefleonard.com. Archived episodes may be found at http://Valeriefleonard.com/NonprofitU, iTunes, Podcast Chart, Blubrry and Stitcher. When Eric Weinheimer accepted the President and CEO position at Donors Forum, he says, his friend Kate Maehr, President and CEO of the Greater Chicago Food Depository, gave him a simple and clear directive: “Create a movement.” If ever there was a time for a movement in the nonprofit sector, the time is now. Under Eric’s leadership, Donors Forum is eager to lead this movement, and works with all of its members – foundations, providers, advisors, corporations, and the government sector – and engaging other social purpose organizations to build healthier, safer, and richer communities in Illinois. Call in live at (347) 884-8121. You don't need an account to listen, but, if you want to participate in an online chat, open a listener-only account at https://secure.blogtalkradio.com/register.aspx?type=listener to participate in a live chat. Visit Valeriefleonard.com. Archived episodes may be found at http://Valeriefleonard.com/NonprofitU, iTunes, Podcast Chart, Blubrry and Stitcher. The Illinois Budget Showdown: What About "The Least of These"? The state of Illinois has been without a FY 2016 budget for nearly 4 months. While the Governor and Legislative Leaders have agreed to meet to begin to discuss a budget, significant damage has been done to local communities, clients and social service agencies. Hundreds of thousands of youth, elderly, people with disabilities, working poor—and the people who serve them—have been impacted by the cuts. Some social service agencies have cut programs and services while the need for the services have grown. Some private foundations have stepped in to try to fill the gaps by providing general operating support and other assistance. Even so, many agencies will have to close their doors and the people with the greatest needs will suffer more. Who will take care of the “Least of These”? Join the discussion with Michael Holmes, the Executive Director of the Illinois African American Family Commission, to share your views and recommendations. Call in live at (347) 884-8121. You don't need an account to listen, but, if you want to participate in an online chat, open a listener-only account at https://secure.blogtalkradio.com/register.aspx?type=listener to participate in a live chat. Visit Valeriefleonard.com. Archived episodes may be found at http://Valeriefleonard.com/NonprofitU, iTunes, Podcast Chart, Blubrry and Stitcher. Angela Hall is a staff attorney at The Law Project, or TLP for short. She works primarily with the Small Business Program and the Homeownership Program. Prior to TLP, Angela was a solo practitioner whose legal practice consisted primarily of residential real estate transactions. She is also a licensed real estate broker who was formerly affiliated with Lake Michigan Financial, Inc. Prior to having her own practice, Angela was an Associate at Robbins, Schwartz, Nicholas, Lifton & Taylor, Ltd. and counseled and litigated municipal law, real estate and employment discrimination cases. Early in her legal career, she was a Litigation Counsel at the Attorney Registration & Disciplinary Commission and a Cook County Public Guardian. Angie received her law degree from the University of Illinois College of Law and her Bachelor of Arts degree from Northwestern University. Call in live at (347) 884-8121. You don't need an account to listen, but, if you want to participate in an online chat, open a listener-only account at https://secure.blogtalkradio.com/register.aspx?type=listener to participate in a live chat. Visit Valeriefleonard.com. Archived episodes may be found at http://Valeriefleonard.com/NonprofitU, iTunes and Stitcher. Did you know that tax exempt organizations are 2 times more likely than tax payers to be late with filing annual returns with the IRS? There are approximately 1.4 million registered organizations in the United States (IRS, October 2, 2014). Of this number, 579,114 registered organizations, or 40%, lost their tax exempt status as a result of not filing Form 990 for three years in a row. Just two years ago, there were approximately 1.2 million nonprofit organizations with about 32% losing their tax exempt status for failing to file Form 990 three years in a row. In contrast, about 85% of individuals and corporations file their income taxes (Form 1040) on time. Make sure your organization has completed the necessary filings to maintain tax exempt status. Valerie F. Leonard will give an overview of all the filings organizations need to file at the federal and state levels in order to maintain compliance. You may download a supplemental article at https://www.scribd.com/doc/74798266/Just-Checking-Nonprofit-Compliance Call in live at (347) 884-8121. You don't need an account to listen, but, if you want to participate in an online chat, open a listener-only account at https://secure.blogtalkradio.com/register.aspx?type=listener to participate in a live chat. Visit Valeriefleonard.com. Archived episodes may be found at http://Valeriefleonard.com/NonprofitU, iTunes and Stitcher. When we speak of capacity, we are generally referring to organization’s potential to marshal their human, financial and other resources to effect positive change in the communities and clients they serve. Organizational capacity is impacted by a number of factors, including leadership, the organization’s stage of development and changes in the environment, to name a few. Organizations engage in capacity building activities in order to increase their effectiveness in serving their constituencies. Such activities include, but are not limited to, hiring new employees to meet increased demand for services; strategic planning to position themselves for changes in the environment; training board and staff on their roles and responsibilities, or automating financial systems. 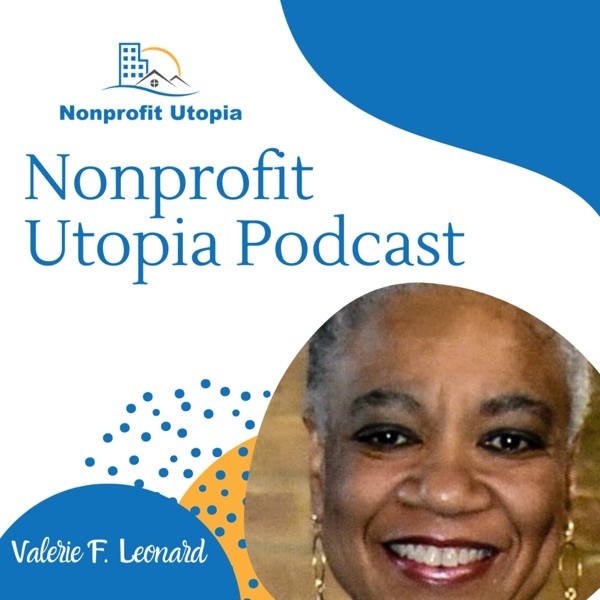 Tune in as Valerie F. Leonard, an expert in community and organizational development, talks about ways organizations may strengthen their organizational capacity and better position themselves for fundraising. When we read about TIF’s in Chicago, we typically read of lack of transparency, extreme surpluses, lack of accountability, and how large corporations benefit, while residents of impacted communities are left “on the outside looking in” in their own communities. Not so in Humboldt Park. Tune in Monday, July 6, 2015 to find out how Carolina Gaete and Cecile Carroll DeMello, Co-Directors of Blocks Together, have managed to work with local residents and elected officials to bring democracy to the TIF program, develop affordable housing and make micro-financing available to small businesses from the neighborhood. Call in live at (347) 884-8121. You don't need an account to listen, but, if you want to participate in an online chat, open a listener-only account at https://secure.blogtalkradio.com/register.aspx?type=listener to participate in a live chat. The State of Illinois is the largest contributor to the state’s nonprofit sector. In spite of the fact that the Illinois economy is in recovery, the state is experiencing a $4 billion budget gap for FY 2016. Reduction in tax receipts make it difficult for state and local governments to meet their obligations and address the growing need for social services. The inability of the State to pay nonprofits on time is one of the greatest threats to the viability of the nonprofit sector. The nonprofit sector accounted for 8% of the State’s workers and 8.7% of the Gross State Product in 2000 (Donors Forum 2003). How are your nonprofit peers dealing with tough times? Tune in Monday, June 29, 2015 to participate in a discussion of how nonprofits are coping with state budget cuts and other threats to the funding environment. Call in live at (347) 884-8121. You don't need an account to listen, but, if you want to participate in an online chat, open a listener-only account at https://secure.blogtalkradio.com/register.aspx?type=listener to participate in a live chat.